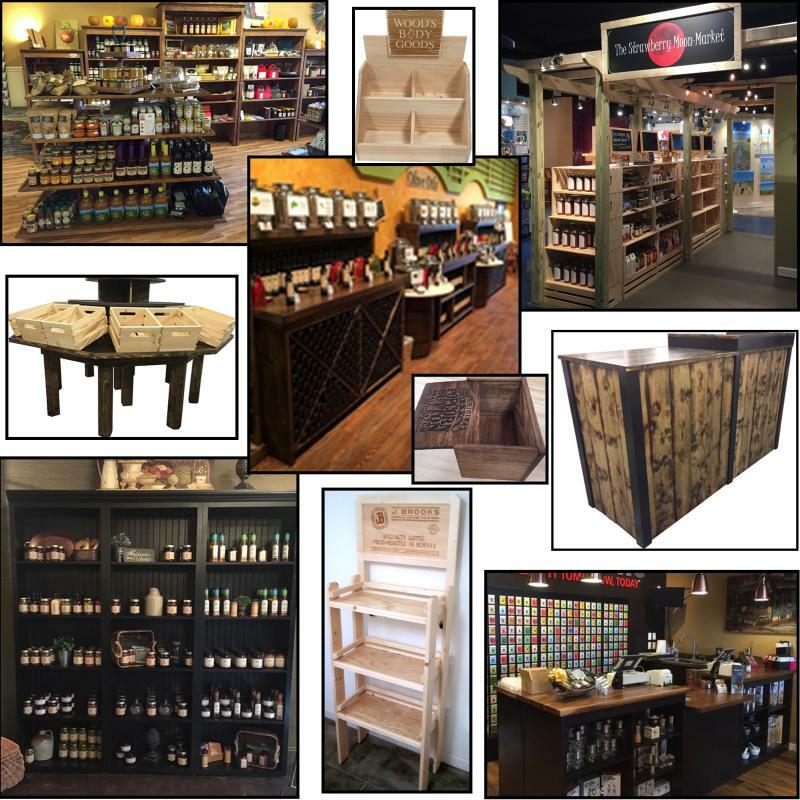 a Factory-Direct Manufacturer of Rustic Primitive Wood Retail Store Fixtures, Gondola & Grocery Displays, Store Shelving, Retail Display Cabinets, Cash Wrap Sales Counters, Display Crates, Chalk Boards, Fusti Displays, Countertop & Wood Box Packaging Solutions & MORE! IF YOU'RE LOOKING FOR RUSTIC WOOD RETAIL DISPLAYS, YOU'VE COME TO THE RIGHT PLACE! YOUR LOGO OR COMPANY NAME! Rustic Wood Retail Store Fixtures, Wood Merchandising Display, Wholesale Franchise wood fixtures, Primitive Rustic Wood Fixtures, Wooden Cabinets, Wholesale Wood Branded Retail Display Crates, Apple milk crates, Wood Wine Boxes, Wood Olive Oil Boxes, Rustic Wood Fusti Bars, Rustic POP displays, Wood Gondolas, Sideboards, Branding Iron Logos, Wood Shelving, Bookcases, Cash Wrap Sales Counters, Gondola Display Units, Spice Racks, Olive Oil Wall Racks, Trade Show Crates Displays, Wood Olive Oil Gift Box, CBD Dispensary, Wood countertop displays, Rustic Wood Mall Kiosks,﻿ Wood Display Barrels, unfinished wood retail displays﻿, Mini Chalk Boards, Sandwich Board Chalk Boards, Wood Crates & Wood Box Gift Packaging, Ship flat knock down folding shelves, Retail Counter Displays, Wood foods displays whole.